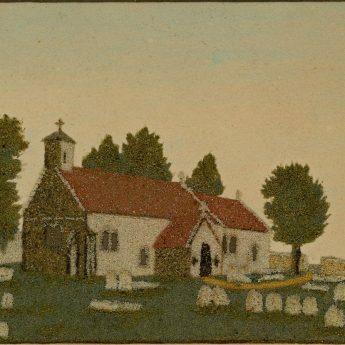 A 19th century sand picture depicting Old St Boniface Church in Bonchurch, the Isle of Wight created using Alum Bay sand in 1852. 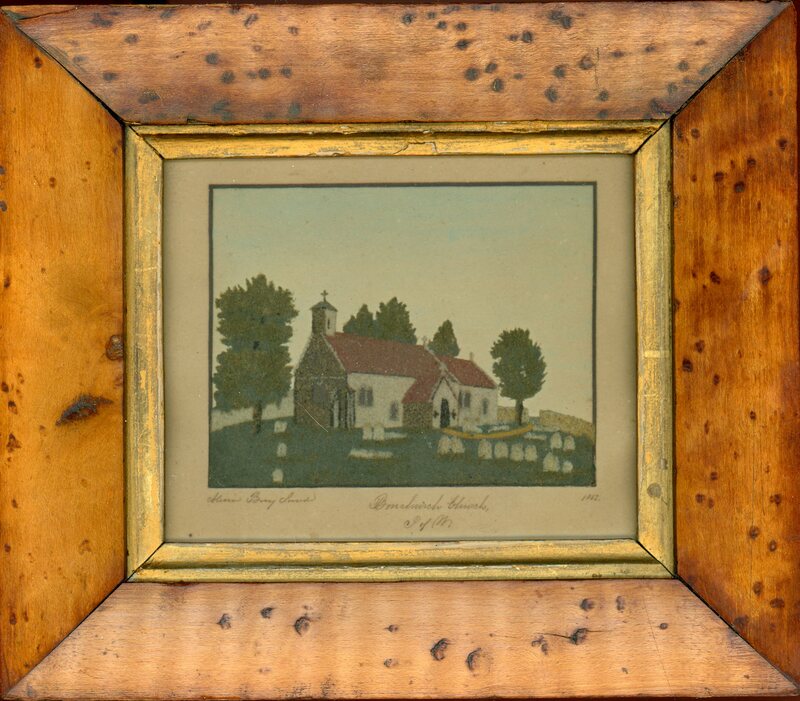 It is inscribed below: ‘Alum Bay Sand Bonchurch Church I of W 1852’. The practice of using coloured sand for table decorations came into fashion during the 18th century and it was around this time that sand pictures evolved. The technique involved creating an image by mixing sands with gum arabic and spirits of wine and gluing them onto a suitable background. Alum Bay on the Isle of Wight became one of the principal centres for this art form, as it has a rich supply of colourful sands. 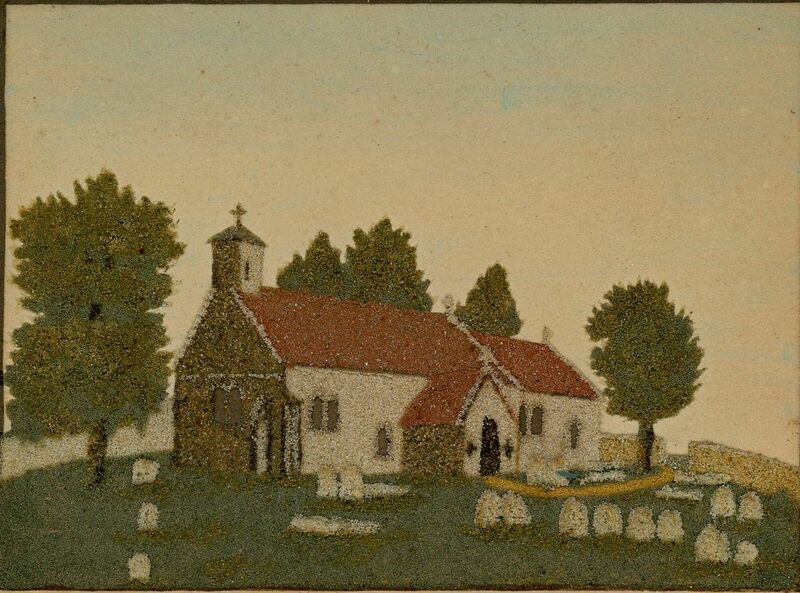 Old St Boniface Church was replaced, though not actually demolished, in 1848. It has since been brought back into use as a church. The painting is in good condition and is housed in the original bird’s eye maple veneer frame with gilt slip.